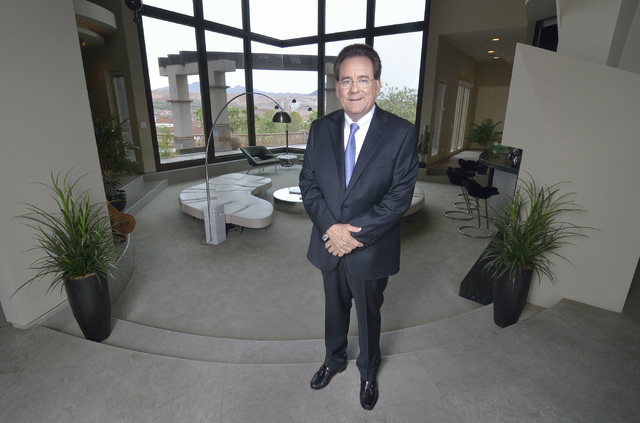 The owner of a luxury real estate franchise in Las Vegas is planning for big changes. Gene Northup, owner of Synergy Sotheby’s International Realty, is in the process of upgrading to a larger office in Summerlin and, in the coming years, hopes to nearly double his staff of 55 agents that work out of his firm’s current location at 8330 W. Sahara Ave.
Synergy Sotheby’s new operations will be set further west in a 3,000-square-foot space at 10100 W. Charleston Blvd., a 500-square-foot upgrade from the old location, starting Oct. 1. Change in the Valley’s home market is not the only shift Northup has seen this year. Northup also bought out his long-term partner, Dale Thornburgh, a few months ago. Meanwhile, Thornburgh is now a broker-sales agent at Acclaim Real Estate, owned by Richard Robledo, a longtime friend. 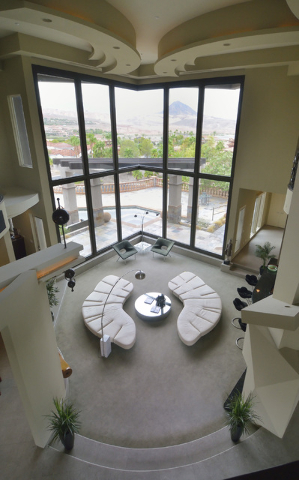 From one of his luxury listings at Lake Las Vegas featuring seven bedrooms and eight baths, and stretching across more than 7,400 square feet, Northup talked about the changes coming in the local luxury market. Northup’s journey to ownership in the luxury brand began when he decided to move his book of about 60 clients to the Sotheby’s label — then Dyson and Dyson Sotheby’s International Realty — where he became an agent at the end of 2006. Northup said he was looking to upgrade as most of his clientele were seeking product in the luxury space. 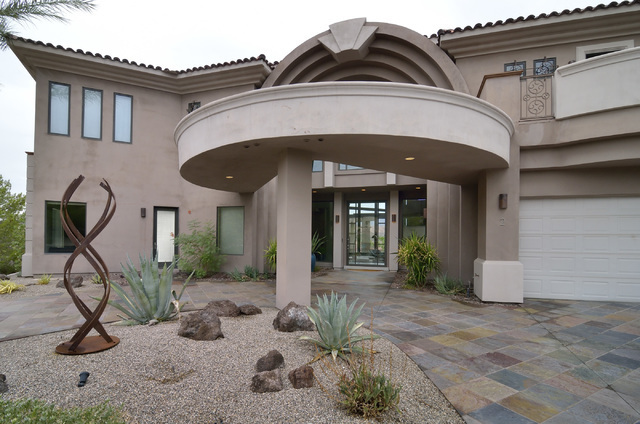 Though it seemed a good move at the time, that would quickly change when Bob Dyson, then owner of Sotheby’s International Realty franchises in parts of Southern California and Las Vegas, announced in early 2007 that he was closing the Las Vegas office at the end of February. He later closed his Southern California offices as well. At the time of the Las Vegas announcement, Thornburgh and Northup, who was in his early 50s, decided to make a move to purchase the company. Initially, there were five potential investors, all agents in the Dyson and Dyson Sotheby’s office in Las Vegas, but Northup and his future partner, Thornburgh, were the two that showed up to sign the check. According to Northup, the total investment needed to get started was about $250,000. This included negotiating a new lease with the landlord for a smaller space, from about 13,000 square feet down to 2,500 square feet, and taking on some of Dyson and Dyson’s other holdings, such as equipment leases. Northup didn’t reveal the total purchase price. The nature of buying a failing business brought about other infusions; a few a year in the early times. Northup said he also went from having more than 100 agents to 17 at the time of the purchase. He’d originally invited 20 of the top-performing agents from the Dyson and Dyson office. The upcoming move also makes the venture a complete family business. Northup’s son, Kyle, has worked alongside his father for the past several years. The family is originally from Glendale, California, and has been in the Valley for 18 years, Northup said. 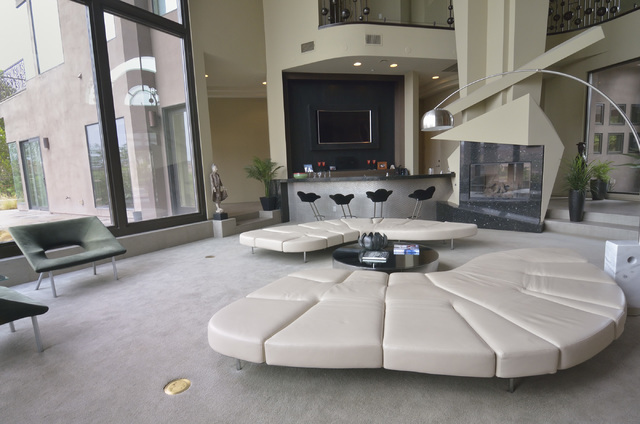 As Northup sees it, the cumulative luxury space in Las Vegas is set to grow during the next several years, with new classes of buyers interested in the Las Vegas Valley’s offerings. Northup referred to one of the new groups of buyers as the preretirement class, which he defined as wealthy individuals wanting to settle into their retirement spot a couple years prior to actually moving in. One of the benefits of making that move is for tax purposes. Californians looking to avoid the high taxes in their home state also could become a factor, as that group targets Nevada and Texas, Northup said. Buyers, such as those hunting in Lake Las Vegas, can find the backdrop of the mountainscape and upscale boats sailing across the waters, while being able to hit the Strip anytime to visit upscale shops, such as Prada and Tom Ford, just to name a few. According to recent data from the Greater Las Vegas Association of Realtor’s multiple listing service, Synergy Sotheby’s was No. 4 in sales volume and No. 5 in total number of units moved with a value of $1 million or more in the Las Vegas market from July 2015 to the end of June 2016. The organization holds 4.3 and 3.3 percent of the local market share in those categories, respectively. Luxury home sales are on the path to a slight run up in 2016. GLVAR reported that there were 186 home sales in the $1 million or higher range through about the end of July. If that pace continues, the market should see an increase of about 3 percent by the end of the year. There were 270 homes sales in this category in 2015. On all properties considered luxury product in Las Vegas — which are rated at about the $500,000 level — are on a good path in 2016. The number of single-family homes was at 902 at about the end of July, according to the GLVAR. This is already above the entire amount sold in 2015 at 842. The amount of luxury single-family units sold in 2013 and 2014 was 1,173 and 1,207, respectively. “We are an emerging luxury market,” said Northup, as he spoke about some of the budding construction in high-end luxury around the Valley. This includes space being sold in MacDonald Highlands in Henderson and Discovery Land Co.’s planned 555-acre project near The Ridges in Summerlin. Northup will have some local assistance from the national hub in the next couple months. Jon Meschke, vice president, affiliate services at Realogy – Sotheby’s International Realty Affiliates LLC for the Pacific region, is moving to Lake Las Vegas in the next couple weeks. Meschke, who works as a liaison between the Sotheby’s International Realty brand and local franchisees, said the name has spread during the past several years. His coverage area has included the mountain region, to Hawaii and parts of Canada, but an increase in the number of new offices going up has prompted the creation of two divisions instead of one. His current hub is in Colorado. Meschke agrees with Northup on the local scene, especially with Las Vegas’ increase in dining, entertainment and tourist traffic. He also agrees that the regional tax advantages are a good driver for growth in the luxury home market. “We see for the foreseeable future that Southern Nevada is the luxury market that’s going to continue and prosper,” Meschke said. Northup also sees growth in high-rise product. In the high-rise space, which Northup expects to grow during the next several years, was at 67 units sold through about the end of July, according to GLVAR. This past year, 164 units were moved at a price of $500,000 or higher. If this pace continues until the end of the year, the total number of high-rise units sold in 2016 will be lower than in 2015, though it’d be closing in on 2014’s number at 140 units. Synergy International has a separate division known as Vertical that handles this sector. Overall, Northup doesn’t expect to be at the helm of the biggest firm on the block, but hopes to meet another important goal. “We’re talking about the most professional, most ethical, most well-connected (firm) internationally, and that’s what we are and what we’re going to continue to be,” Northup said.